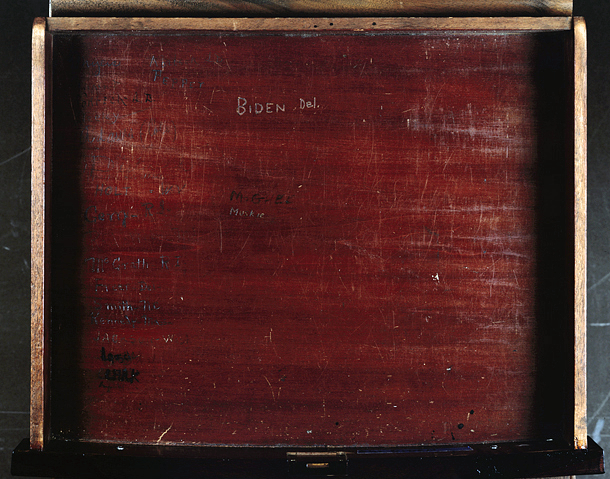 Description: Inside drawer of Senate chamber desk XCI occupied by Sen. Joe Biden during his time in the U.S. Senate. Note signature at upper center inside of the drawer. This page was last modified on 20 April 2017, at 04:36.